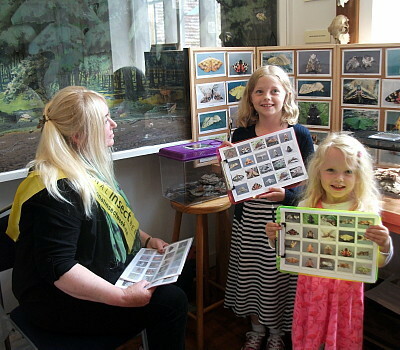 BECOME A MEMBER OF SHERBORNE MUSEUM TODAY! Thank you for your interest in becoming a member. This page tells you a little bit about membership and how important our members are to us. You do not have to be local; we have members from around the world who have an interest in supporting the vital work we do. Sherborne Museum is a registered charity, we have independent status and we were the first volunteer-run museum in Dorset to be awarded full Accreditation. We are located in the beautiful town of Sherborne in Dorset and occupy what was formerly the Almonry belonging to the Abbey, now a grade II listed building. By becoming a member of Sherborne Museum you will help support the vital work we do, and for a very reasonable yearly subscription you can enjoy additional benefits. Our membership is really the life blood of the Museum as donations and subscriptions are our main sources of funding. Download and complete the forms you require below, ensuring you have signed and dated all forms used and then return them to the Museum. Please read the terms and conditions before filling in your application.